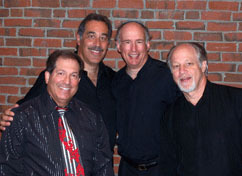 Safam, a Boston based six-man band, has entertained audiences with their "Jewish-American Sound" for over 35 years. Specializing in originality -- original music, original lyrics, and original arrangements -- their songs have become a part of our Jewish musical heritage. Incorporating decidedly modern musical cadences -- Rock & Roll, Pop, Folk, Latin -- with traditional Jewish musical themes, they have created a unique and rich musical tapestry which can appeal to audiences of all ages. Singing-along with Safam is fun and easy. 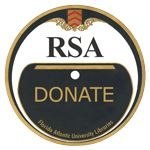 Just click “view album” under the JSA radio player to view album graphics and inserts which include lyrics for most of the songs. Dan Funk (Vocals): Dan met Alan Nelson and Joel Sussman while performing with the Zamir Chorale of Boston. All three have been a part of Safam since its beginning in 1974. As one of Safam’s lead singers, Dan’s strong lyrical tenor voice is heard on most of Safam’s Hebrew songs. He also serves as Safam’s business manager. Alan Nelson (Vocals and Synthesizer): Alan was born and raised in the Boston area where he directed Temple and youth group choirs at his synagogue. He attended Northeastern University and later, the Chaloff School of Music. A founding member and Assistant Conductor of the Zamir Chorale of Boston, he has been able to combine his love of Jewish music with a successful business career. Robbie Solomon (Vocals, Guitar, Mandolin and Flute): Along with an Orthodox upbringing in Baltimore, Maryland, and rabbinical study at the Hebrew Union College, Cantor Solomon received conservatory training at the Rubin Academy in Jerusalem, Berklee College of Music and New England Conservatory. Cantor Robbie Solomon is internationally known as a composer of Jewish choral works and synagogue repertoire. His stirring anthem “Leaving Mother Russia," written in 1979, became the rallying cry of the Soviet Jewry movement and established him as a musical interpreter of Jewish conscience. In addition to over ten original CDs with Safam, Cantor Solomon’s works have been performed and recorded by numerous cantors and choirs throughout the world. Cantor Solomon is the current cantor at Baltimore Hebrew Congregation. Joel Sussman (Vocals, Piano, Synthesizer and Guitar): Joel began playing professionally in rock bands at the age of 15 while growing up in Edmonton, Canada. After graduation from the University of Alberta, and a year working as a social worker in Israel, he moved to Boston to acquire an MBA from Northeastern University. As one of the group's two songwriters, Joel composes Safam's music from his home in Newton, MA. Music in this collection courtesy of Safam.